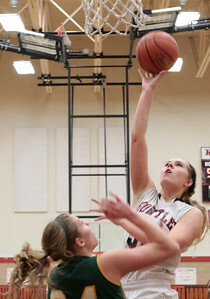 Kyle Grillot - kgrillot@shawmedia.com Huntley sophomore Ali Andrews (50) puts up a shot under pressure from Crystal Lake South senior Sara Mickow (34) and sophomore Chantel Fanter (14) during the third quarter of the girls basketball game Tuesday in Huntley. 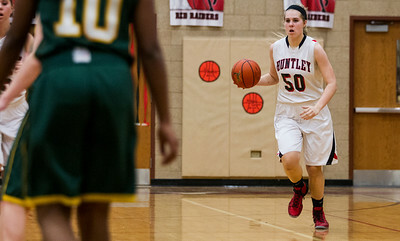 Huntley beat Crystal Lake South, 61-50. 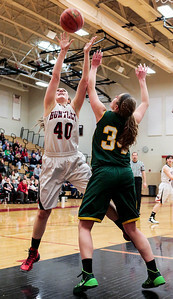 Kyle Grillot - kgrillot@shawmedia.com Huntley sophomore Ali Andrews (50) puts up a shot under pressure from Crystal Lake South senior Sara Mickow (34) during the third quarter of the girls basketball game Tuesday in Huntley. Huntley beat Crystal Lake South, 61-50. 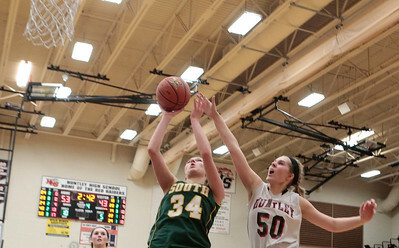 Kyle Grillot - kgrillot@shawmedia.com Huntley senior Samantha Andrews (40) puts up a shot under pressure from Crystal Lake South senior Sara Mickow (34) during the third quarter of the girls basketball game Tuesday in Huntley. Huntley beat Crystal Lake South, 61-50. 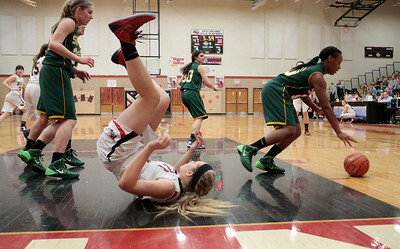 Kyle Grillot - kgrillot@shawmedia.com Huntley sophomore Ali Andrews (center) and Crystal Lake South senior Rachel Rasmussen (behind) go for a loose ball during the third quarter of the girls basketball game Tuesday in Huntley. 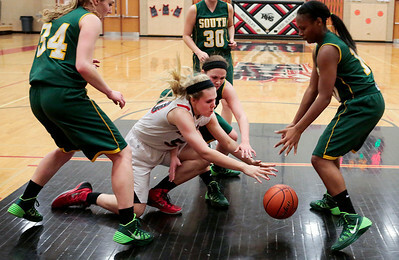 Huntley beat Crystal Lake South, 61-50. 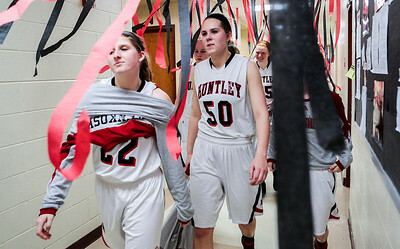 Kyle Grillot - kgrillot@shawmedia.com Huntley sophomores Paige Renkosik (22) and Ali Andrews (50) walk towards the locker room after the end of the girls basketball game Tuesday in Huntley. Huntley beat Crystal Lake South, 61-50. 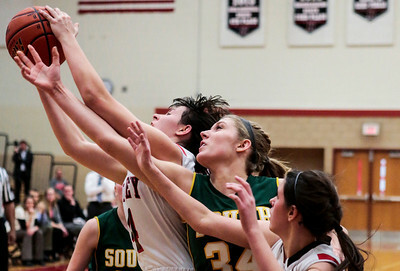 Kyle Grillot - kgrillot@shawmedia.com Huntley senior Bethany Zornow (from left), Crystal Lake South senior Sara Mickow (34), Huntley freshman Abbey Brown fight for a rebound during the third quarter of the girls basketball game Tuesday in Huntley. Huntley beat Crystal Lake South, 61-50. 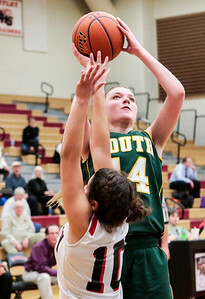 Kyle Grillot - kgrillot@shawmedia.com Crystal Lake South sophomore Chantel Fanter (14) puts up a shot under pressure from Huntley junior Kianna Clark (10) during the fourth quarter of the girls basketball game Tuesday in Huntley. 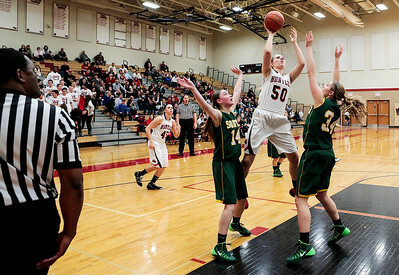 Huntley beat Crystal Lake South, 61-50.